Earlier this month I released Save My Files. Save My Files is a simple, straightforward app designed with one simple function: making your files available on your iPhone or iPad at any time. Save My Files offers a fast and direct way to download your files from the internet or copy them over through iTunes and keep them for offline viewing with its beautiful Image, Video and Music viewers. Once you have all your content at your fingertips without the need for an internet connection, you'll fall in love! Just copy the links and open Save My Files. It's that simple! So what are you waiting for? Go on to visit the Save My Files site to see a video of it in action. 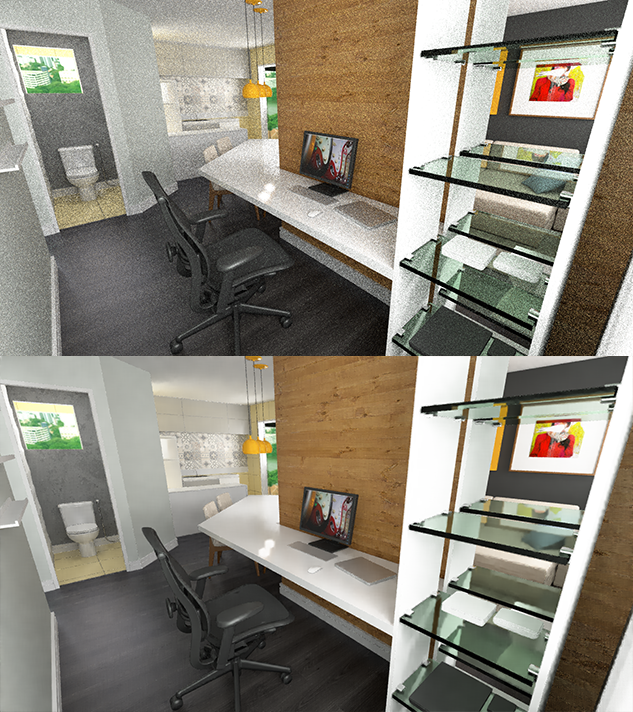 Over the past few weeks, I've been working on 3D renders of an apartment that I'll be moving into later this year. 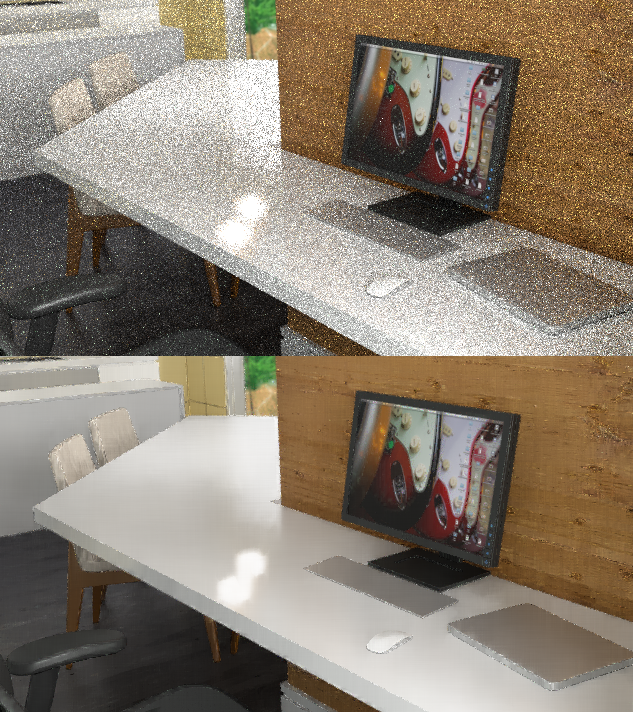 One of the most interesting developments I've seen lately regarding 3D rendering has been the Cycles renderer: it is an unbiased renderer for Blender that, if possible, will use your video card to accelerate rendering. 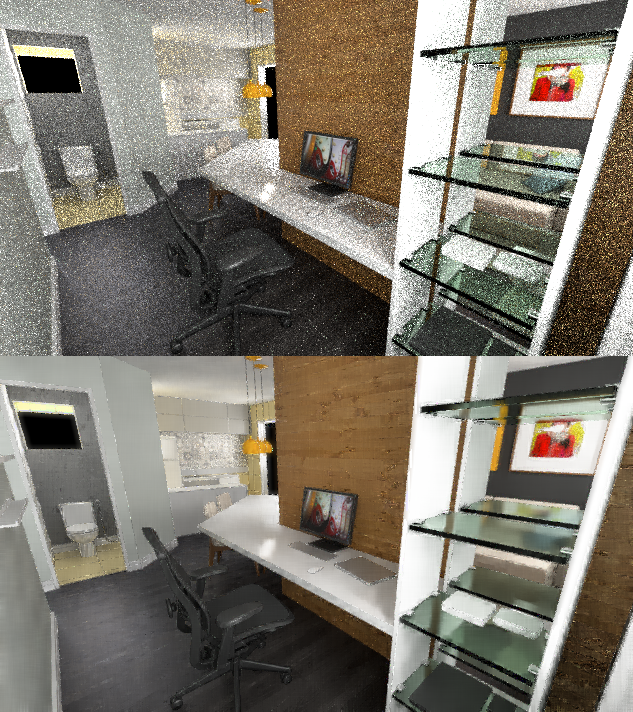 To me, Cycles has one huge drawback: It takes a long time to get a noise-free render out. Especially because none of the computers in my house have video cards that are Cycles-compatible. 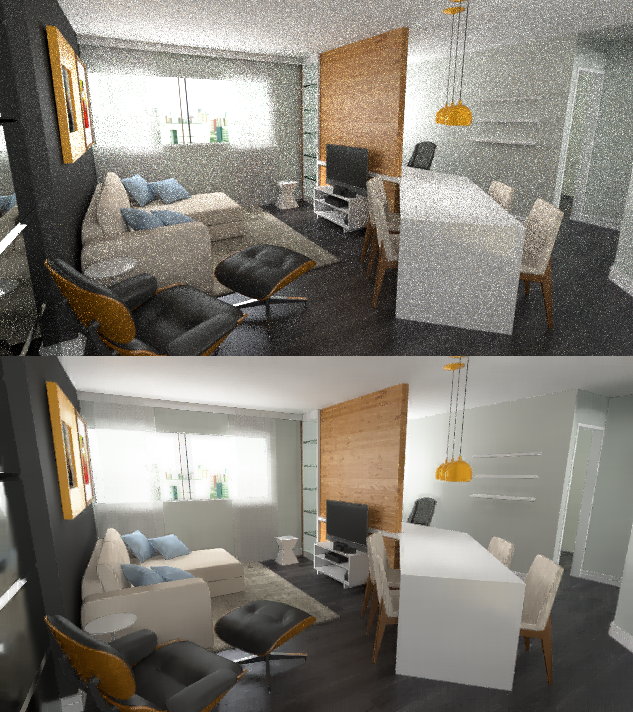 As a result, a 100-sample 1080p image of my apartment project takes 45 minutes to render, and at 100 samples it is incredibly noisy. So I thought: what can I do to make me have to wait less in order to see a noise-free – or near noise free – image of my project? If you like what you see, head over to the Project page on GitHub and check it out. There is an Xcode project included and an OS X binary pre-built. The project is distributed under a BSD license.